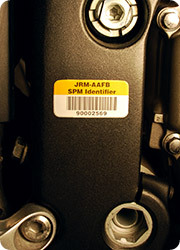 Alliance asset tags are rugged yet elegant, enduring a lifetime of service on assets like high-end computers, construction equipment and medical electronics. Alliance has a solid reputation built on 25 years of manufacturing superior identification products for thousands of business, government, and institutional customers worldwide. Over 40 million Alliance asset tags are now in service.